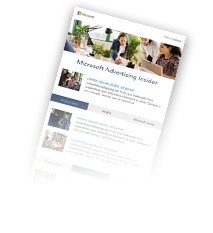 Learn about three new Bing Ads capabilities that can help turbo charge your marketing campaigns. Bing Ads continually strives to deliver solutions that make you more effective at achieving your marketing goals. We are always carefully listening to the feedback provided and have many product updates to share based on what we heard in our UserVoice feature suggestion forum in the first half of 2018. Another overview of updates and improvements to the Bing Ads product experience based on feedback from advertisers like you. This includes richer targeting and reporting features, as well as time-saving tools for managing ads, bids, budgets, and more. An overview of updates and improvements to the Bing Ads product experience based on feedback from advertisers like you.